If you have forgotten your password, don’t panic! Below are four simple steps in order to reset your password, just make sure to follow each step to the finish. 1) Go to the homepage of Nestforms.com, and click on the Login button. 2) You are now on the “Forgot password” page where you will be asked to enter your email address. Enter your email address and press “Send Email” button. 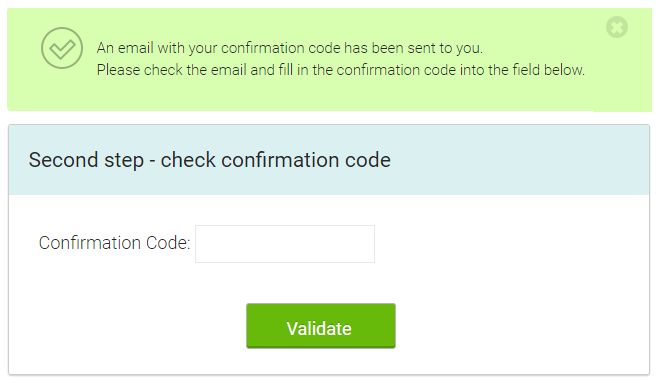 If the email address was valid, you will receive a message saying “An email with your confirmation code has been sent to you.” (Remember to keep this window open for the next step). 3) Now, check your email account as you have received an email containing a confirmation code (If the email did not arrive yet, wait one or two minutes, emails are sometimes slow. If it is taking longer, check your spam folder also). If you are using a webmail interface, keep the current Nest Forms page open, and then open your webmail in another tab or window. 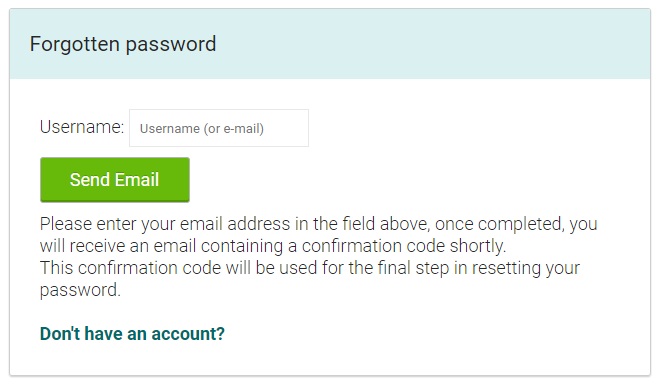 Copy the confirmation code from your email and paste it into the nestforms page. 4) Once you enter the code correctly, you will be shown a final step where you can set your new password. 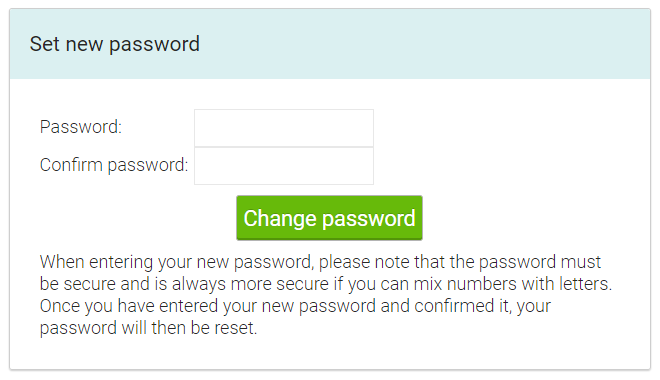 It is also required to confirm the password to prevent mistakes in the password. Once you click the “Change password” button, you have completed the final step. You can now login with your new password into the website or into your app as this change is instant. Note: When you are choosing a new password, we are displaying a hint of how strong your password is. We recommend at least 8 characters with a mix of letters and numbers, but most importantly, choose a password that you can use and remember.